One good way to use your hoard is to use lots of it all at once. So, let's see those layers! We need to see at LEAST THREE LAYERS on your project. Drag out all of that hoarded paper or those embossing folders that are in the back of the drawer. Use those stamps, dies, and punches. Show us the layers! 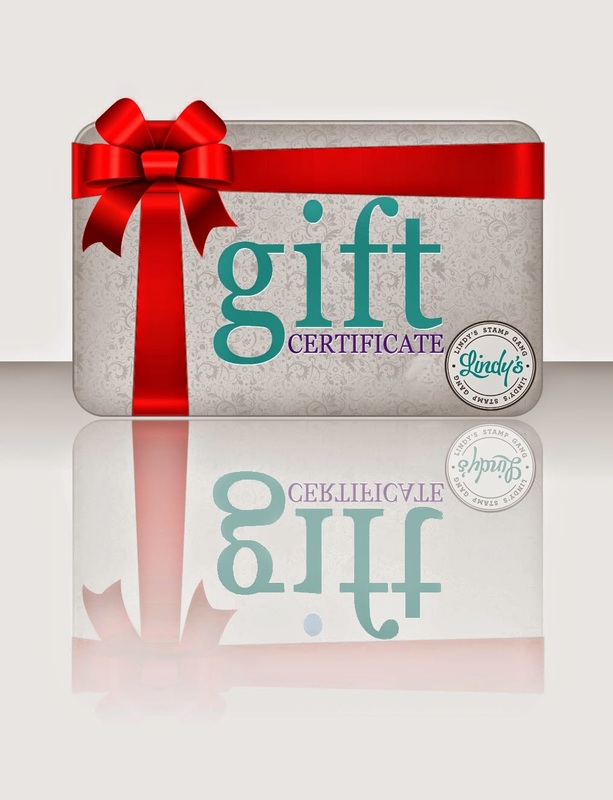 One talented participant will receive this prize donated by Lindy's Stamp Gang, a $30 gift certificate to the Lindy's Stamp Gang store. Here's my Design Team project for this challenge. 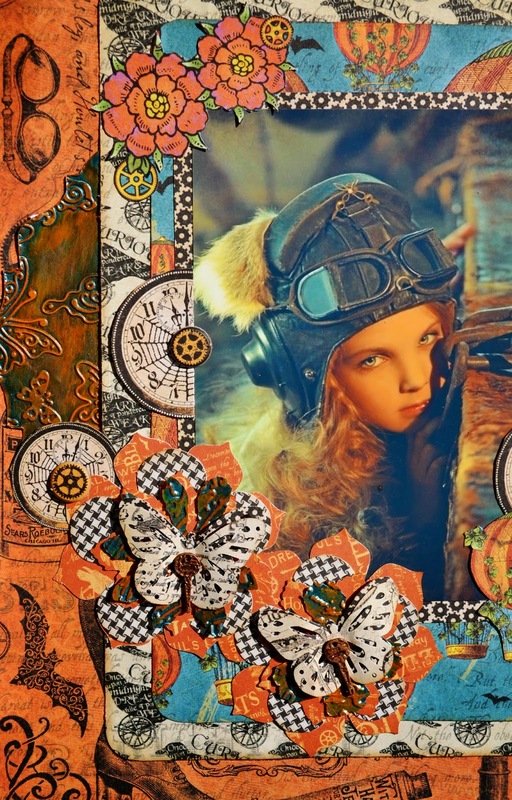 I used a beautiful photo of a little steampunk girl and decided to alter some of the metal sheets from Add A Little Dazzle (Our other sponsor for this month). I altered them with an embossing folder first, and then used some Ranger Patinas (Earth, Antiqued Copper, and Rust) to compliment the photo. I also used some G45 papers from my hoard! Challenge Rules can be found here Craft Hoarders Anonymous Challenge Blog. Make sure to link your project using the link tool on the Craft Hoarders Anonymous Blog. Make sure to visit your other Design Team members to see their wonderful projects for this challenge! Thanks for stopping by and taking a peek and I hope you're inspired to join in on this fun challenge!! This is just beautiful! Lots of luscious layers and I love all the elements! 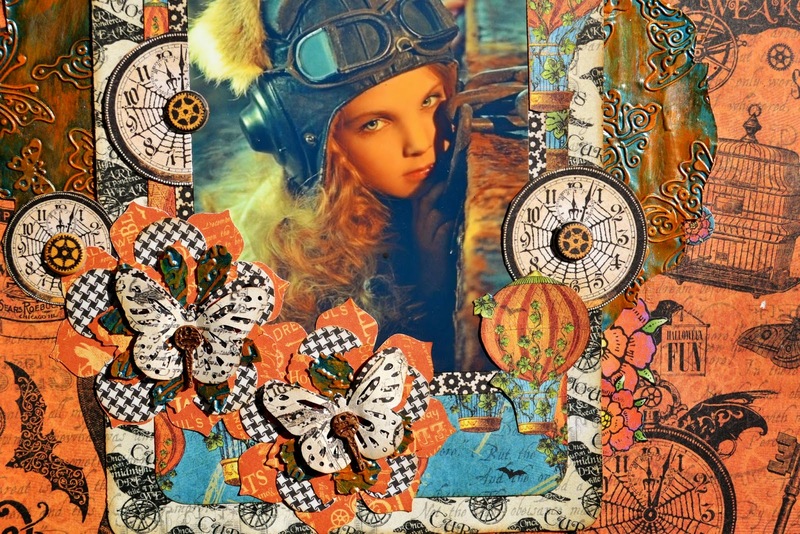 Karen, this is a beautiful layout, love all the details and the layers! I love this! The colors are awesome (kudos to you for orange, it scares me but you rocked it) and love the embossed metal. love the embossed metal and coloured up too! Great layout - almost makes me want to celebrate Halloween! I can't stop looking at this. It's the coolest page I've seen using Steampunk Spells. Wow! Wow Karen, this is so eyecatching! Love the vivid colours and all of the wonderful layers. Thank you for leaving your kind comment on my blog.